The film Project Wild Thing documents the plight of one man to rebrand nature and the great adventure it holds for the younger generation. In response to a growing awareness that his own children spend many a weekday afternoon in front of the TV, David Bond embarks upon launching a campaign to put nature back into all our children’s lives. His journey takes him from UK inner cities to Scottish islands. Surprisingly, he finds those living in rural areas suffer the same as those in the cities. David Bond conducts interviews with several big hitters in the ongoing childhood/nature discussion and invaluable advice from leaders in the advertising world. Project Wild Thing becomes both a tale of the loss of freedom in children’s lives and at the same time an exploration into how best to communicate your message in our every changing and overloaded media world. Firstly, a compelling feature film of both educational and humourous value. Getting its message across through interviews, animations and footage of David growing his campaign from his garden shed. Secondly, a call to action to join the campaign. 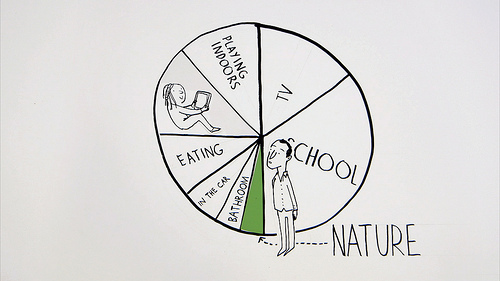 The Project Wild Thing website urges you to pledge to swap screen time for outdoor time. 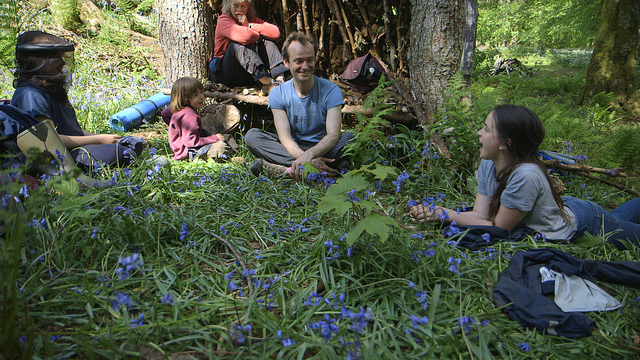 The website gained some strong backers and has established The Wild Network; connecting families and organisations together in a joint quest to reconnect with nature. The film boasts of wealth of valuable notes from major players. The writer Jay Griffiths has intimate words of where we are, so too does George Monbiot on education, Tim Gill of Rethinking Childhood and a refreshingly honest Chris Packham. To name just a few. These insightful snippets of conversations sometimes sit a little juxtaposed next to the interviews with creatives and media brand builders but all give us a very exposing look at where the emerging lives of our children sit within this. Needless to say, he takes to extreme marketing tasks to grab their attention. Enter the SQUIRREL suit. There was a mix of emotions going on, compelling interviews with a 10 yr old and then the next minute attempting to tackle the persuasions of global motor industry advertising. Faced with a marketing toolkit and financing of car manufacturers, nature does seem to pale into the background. You do begin to question whether nature and all it represents can be packaged in the same way as you would a car or an Ipad. But that of course is the film’s success. A Particularly poignant moment in the film is a 10 y old who lives on 23 floor. With unsure pride, He led us to a small area of communal grass that he said his dogs enjoyed, then onto the patch of land he used to run on but that was fenced off and dug up by developers. The sadness of this was hard to get around. This and so many other issues is what we are faced with. David bond and the team around him admirably tackle many of these issues. That of screen time being a big one. We want to discuss these issues but at the same time are afraid of what the consequences might be. I know from my own experiences, differences in parenting attitudes can be some of the biggest social bumps to get over. The film has a certain resignation: that screens are not going away (it is a film after all). So it embraces screens as a tool. A tool to communicate and to learn about something and not the thing to focus on. So as part of the Project Wild Thing campaign the team have brought us the WildTime App, as an extension of the WildTime ideas on their website, the App is packed with a range of time specific and simple activities to keep you occupied outside. 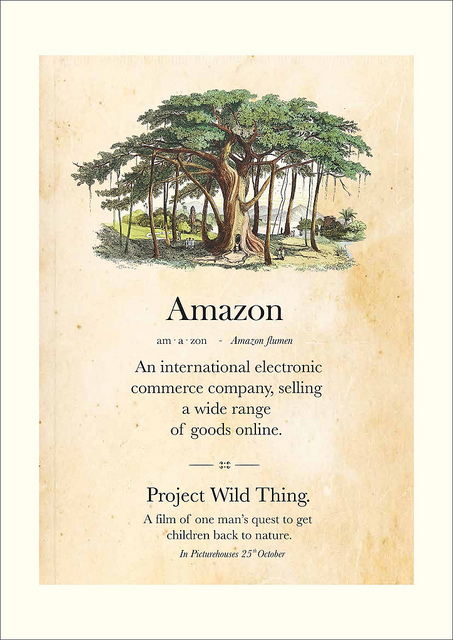 Project Wild Thing demonstrates very artfully the complexity of the nature vs screens problem faced us. In a lighthearted story it keeps us engaged and open to the benefits and hurdles in our path to a reconnected natural presence in our lives. To find out more about the campaign visit their website. For activities on a connection to nature and natural geometry sign up for the Smart Happy Project membership. 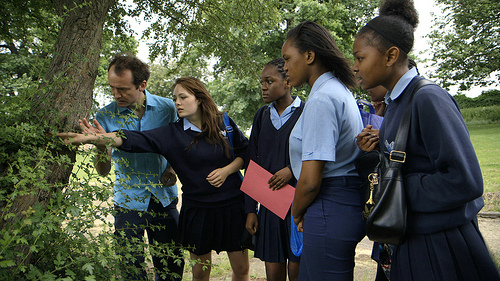 The film is available to download online in the UK. 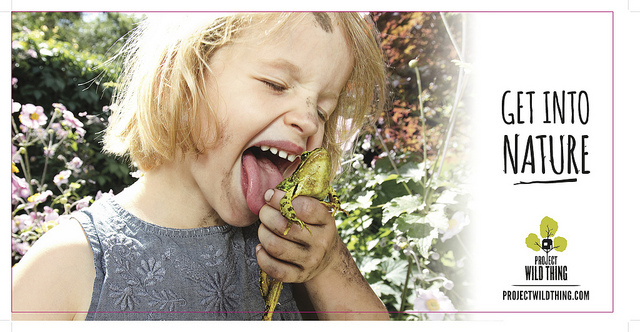 The Smart Happy Project will be screening Project Wild Thing on February 29th 2014 at Fernhill House Hotel, Clonakilty, Ireland. Join the membership for more info. Content images courtesy of Project Wild Thing.